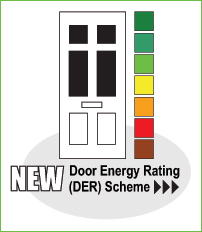 You will need to get a BFRC approved assessment of the performance of the window range you wish to be WER labelled. A computer based simulation prepared by a BFRC Approved Simulator is normally used to assess the window range. It is based upon a standard window configuration which uses a window measuring 1480 mm high x 1230 mm wide, having a central divider with one opening light and one fixed light. Once you have obtained simulation reports to provide evidence of the calculated Window Energy Ratings, the Independent Agency (IA) can then start the process of the factory production control assessment. During the visit to the manufacturer's premises, the IA will check through the simulation reports, confirm that the detailed components are those actually used to produce the relevant window then check the operation of the Quality or Factory Production Control system. When the IA is satisfied that the necessary requirements have been met, they will forward an information pack including details of the assessment to BFRC, who will process the application. On payment of their fees BFRC will then issue details of the WER labels to the window manufacturer and put information onto the BFRC website. The window manufacturer will now be able to start labelling products for sale into the market place. If the BFRC approved assessment confirms the energy rating at B or above, an application may be made to use the Energy Savings Trust (EST) Energy saving recommended labelling. (please note that EST may wish to conduct a separate audit prior to entry into its scheme). In future, regular audits will confirm that windows continue to be made and supplied in agreement with the original thermal simulations. An audit is then conducted at the manufacturer's premises to ensure the manufactured product relates to the particular technical specifications and that the manufacturer is operating an effective Quality Management System. Window Installers or Window Retailers, as they are referred to by the BFRC, may also be able to obtain WER labels bearing their own name. Contact us for details.